Measure the resistance of the seat cushion heater. 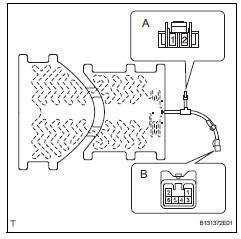 If the result is not as specified, replace the seat cushion heater assembly. Heat the thermostat with a light.